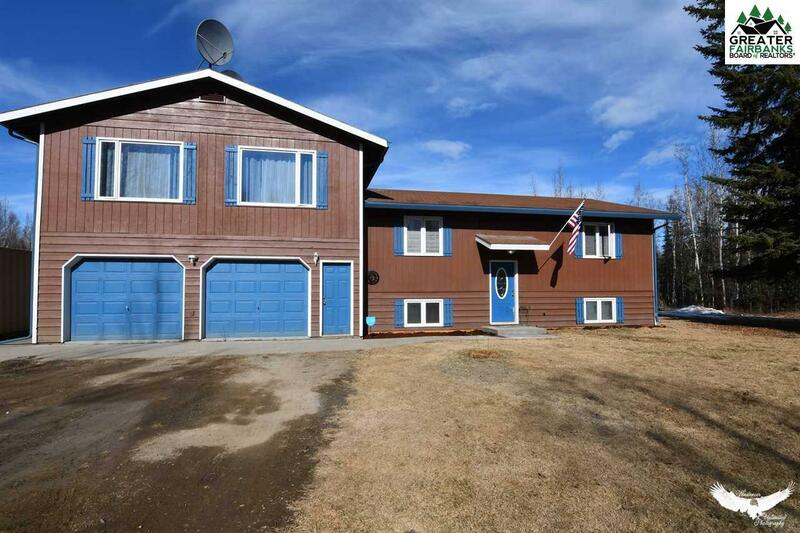 ONLY the second owner of this well maintained home, spacious with over 2600 square feet of living space. 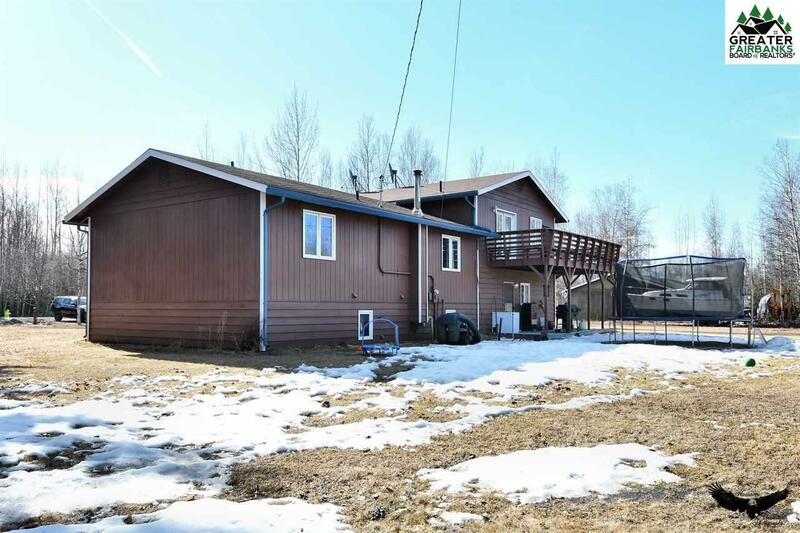 Sunny, South facing on over an acre of property. 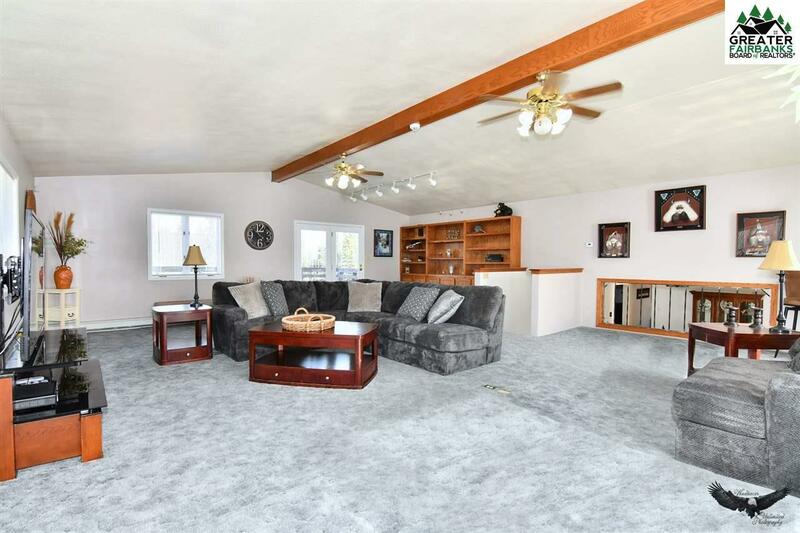 Large Master suite with walk-in closet with office/den/family room, in the lower level. 2 bedrooms and bath on main level with formal dining. The Great room is 780SF with built-in shelving and patio doors to the outside deck. The kitchen is country sized with island and lots of cabinet storage. Both bathrooms have been updated, home interior freshly painted. On the back of the property a 24x40 structure that can be used as additional storage and a RV dumping station. Home also has transfer switch for generator power. 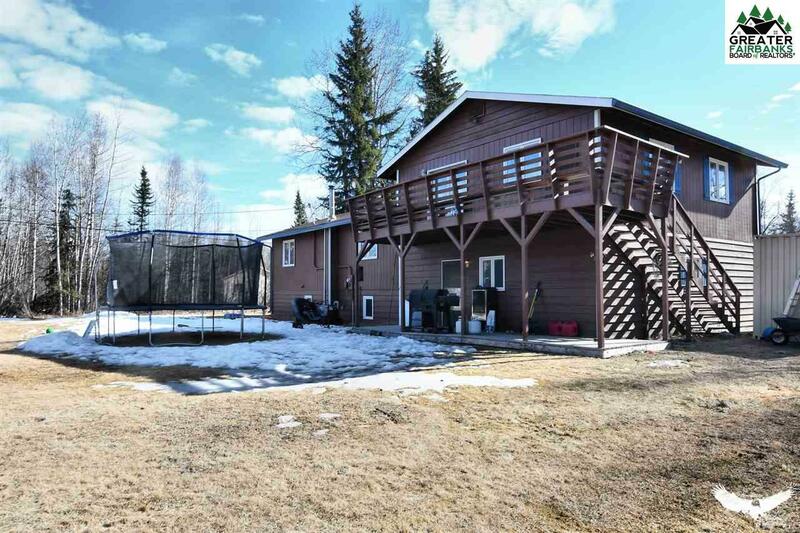 Property close to North Pole amenities, Ft Wainwright and Eielson.